gin to explain why this is so very wrong. 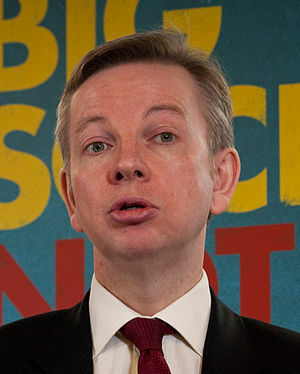 Gove has some responsibility to the nation for the education system. Maybe he wants a system that stifles free roaming thought, one that avoids an old, valid and effective technique to combat opponents= know your enemy”. The Anti-Semites are a standard opponent to post-war westerners. We speak of freedom of expression but the minister of education wants to prevent freedom of thought in this statement. Gove doesn’t want us to explain bigotry, he wants condemnation. Perhaps we are to think through our stance without discussing the issues. This is where he has gone so badly wrong. That is why I have reacted so much, even though he is a member of the much despised UK government. Sorry to say, I still haven’t found grounds to forgive their recent crimes against honesty and openness. This entry was posted in News and politics and tagged Antisemitism, General Certificate of Secondary Education, jew, Michael Gove. Bookmark the permalink.